Loved the stay at Villa Umah Kupu Kupu. 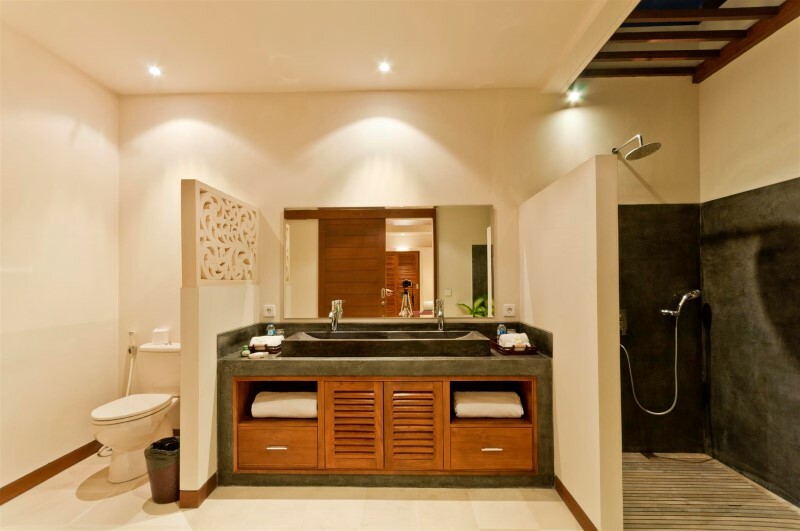 It is very conveniently located on the Oberoi Street, with great access to shops and restaurants. Further, the beach is only 20 minutes away by foot. 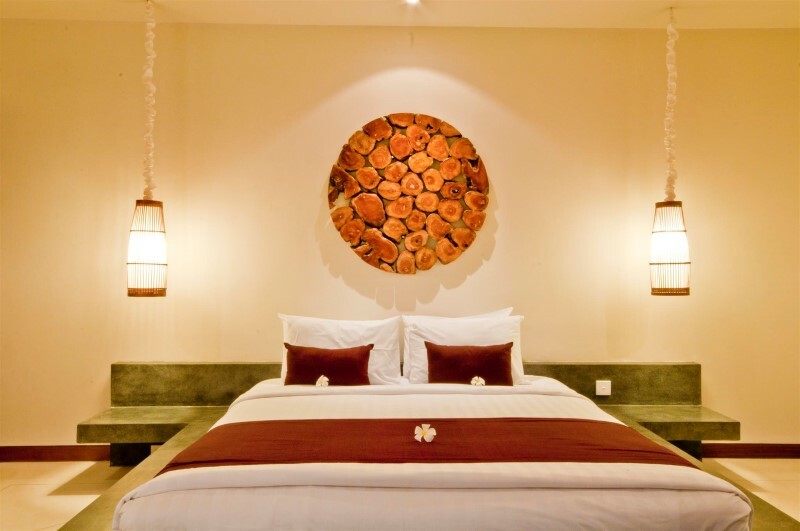 The villa itself is very comfortable, and the staff is excellent! Would easily recommend it to anyone else! My stay at this villa went way above my expectations. The villa was spacious, clean and extremely comfortable. 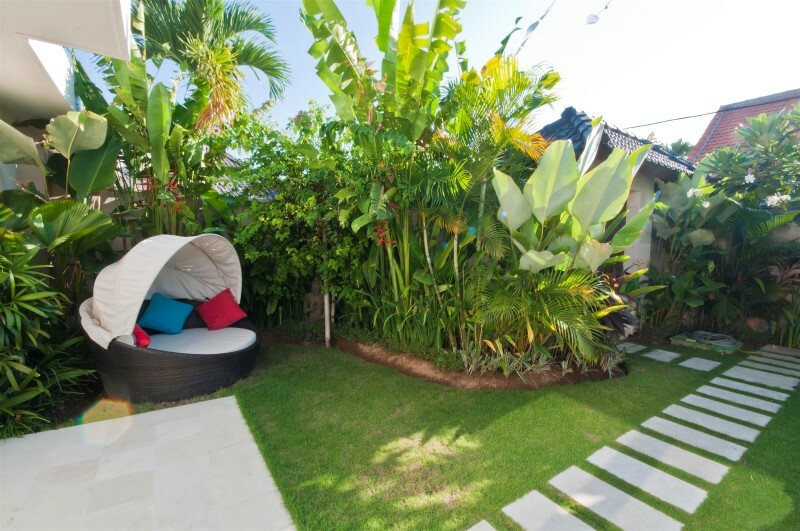 Situated in the heart of Seminyak, it’s a minute walk to the main street with a ton of shopping, cafes, bars and restaurants. 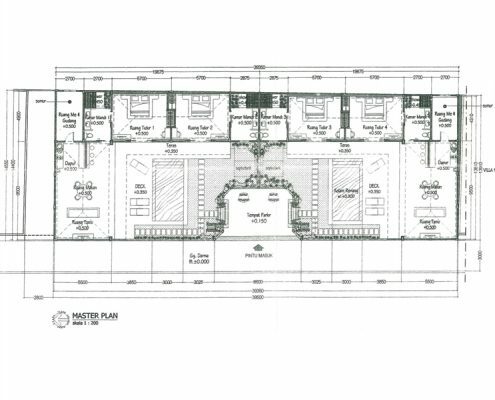 Great location – 1 minute walk to Oberoi Street. Staff were attentive, friendly and helpful. Nothing was too much for them. Would just suggest that the lane way is lit at night. 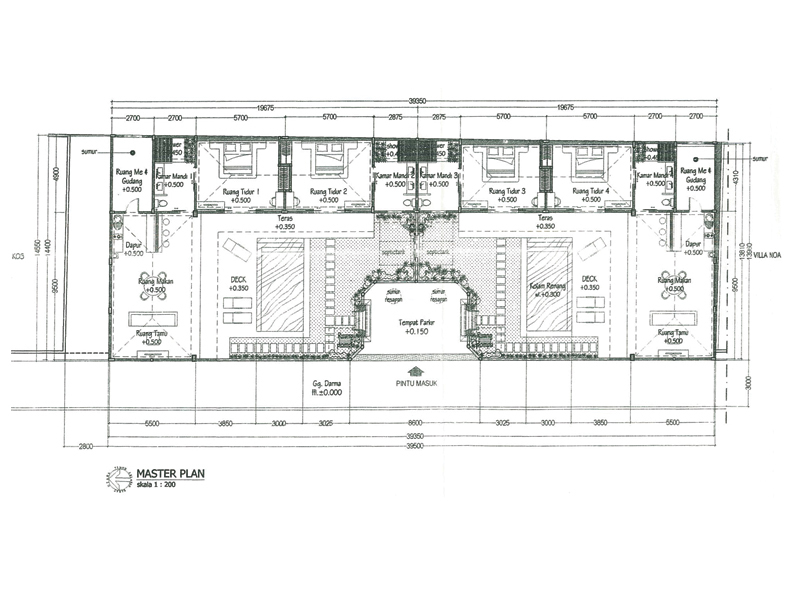 Very convenience location, near good restaurants, supermarket, shops. 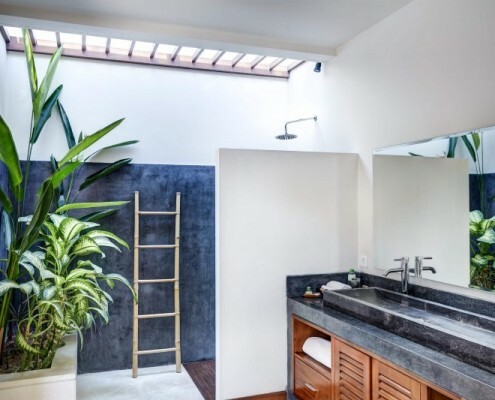 Very clean villa. Perfect.! Delicious breakfast! Very friendly, kind staff members. We are really satisfied! We can be very relaxed. Putu made the sunshine for us everyday! Had the most amazing stay and would not hesitate to come back or recommend to everyone . 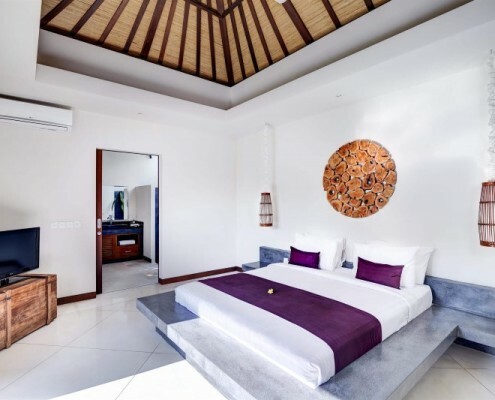 If you’re looking for Seminyak private villa that are so close to all the action, with the bars nightclubs and restaurants right on your doorstep, but with immeasurable elegance and comfort, Villa Umah Kupu Kupu is a great option for your holiday in Bali. 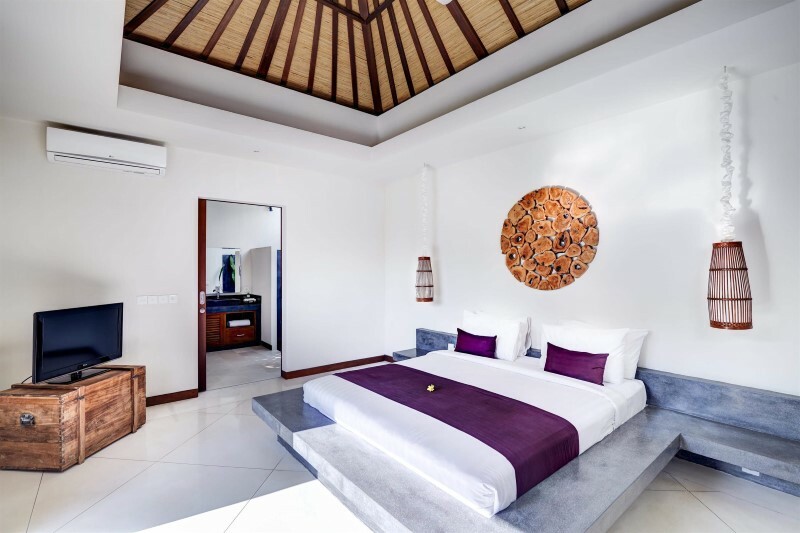 Umah Kupu – Kupu offers guests the best of both worlds, combining individually-designed, spacious and elegant private sanctuaries situated in lush garden settings with instant access to sophisticated Seminyak and all that this popular area of south-western Bali has to offer. It is little wonder that Umah Kupu – Kupu draws travelers from all corners of the globe. The living area consists of comfortable sofas with cushions surrounding a television set, showing over 50 international channels as well as having a DVD player. The close proximity of the dining table makes it possible for guests to enjoy their meal while listening to music and watching TV or movie. The stylish dining table and chairs can also make this private dining prestigious. The kitchen is complete with stove, microwave, coffee maker, juicer, cutlery, chinaware and maxi bar. A hot or cold water dispenser is available within easy reach. 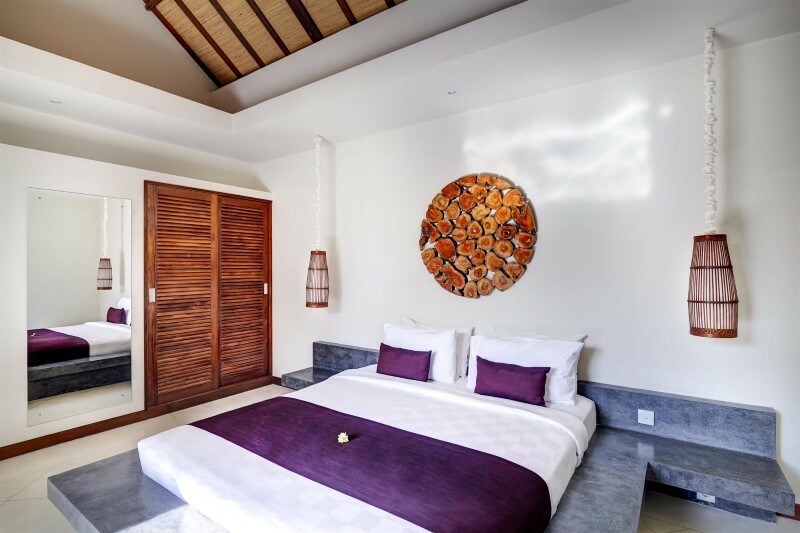 Each villa caters for up to four guests with a pair of ensuite bedrooms each with heavenly king-size beds, and luxurious pillows. 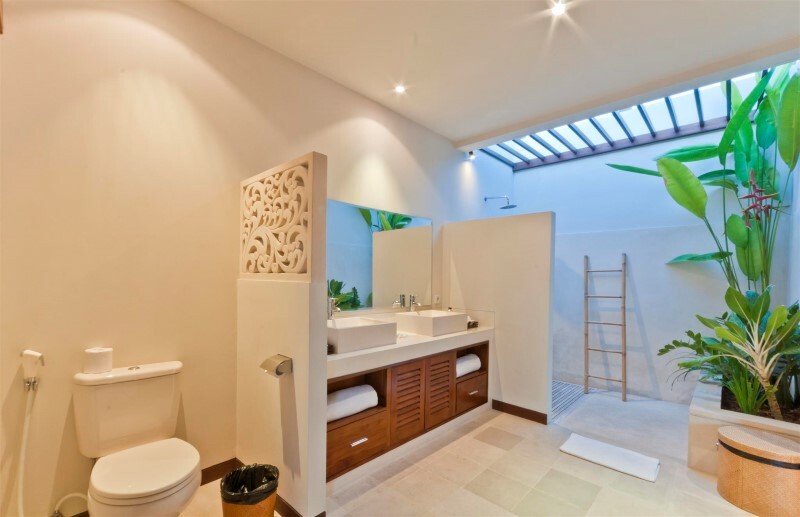 The ensuite bathrooms are totally refreshing giving a unique experience of the pleasures of tropical living. 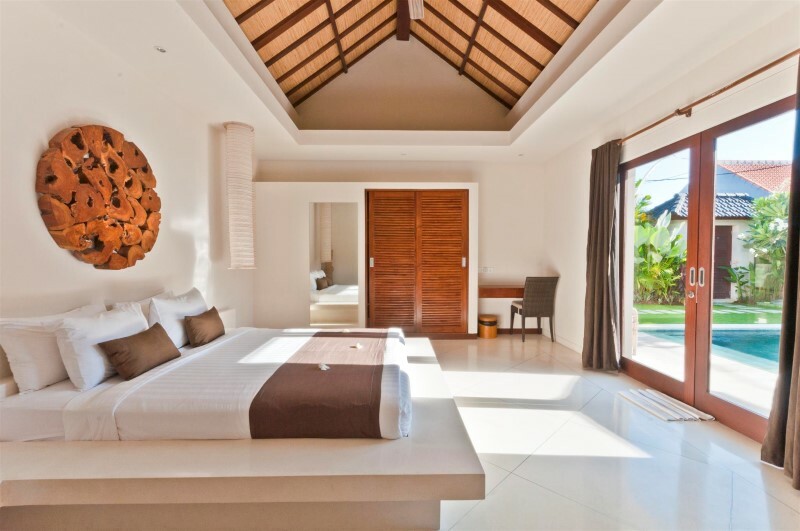 For those seeking greater privacy or even larger accommodation these are two near identical two bedroom villas side-by-side. 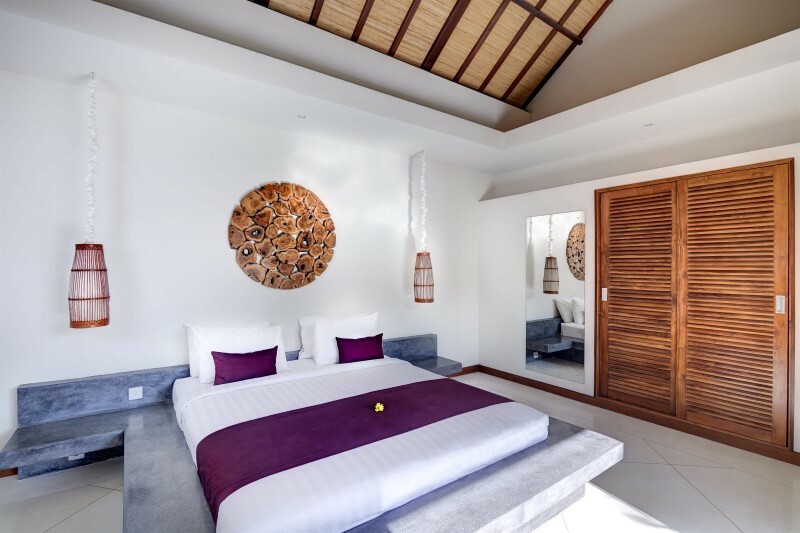 Each villa, hidden behind enchanting walls in exquisite tropical gardens, with a beautiful swimming pool, patio and sunning area containing sun lounges and a shady umbrella. 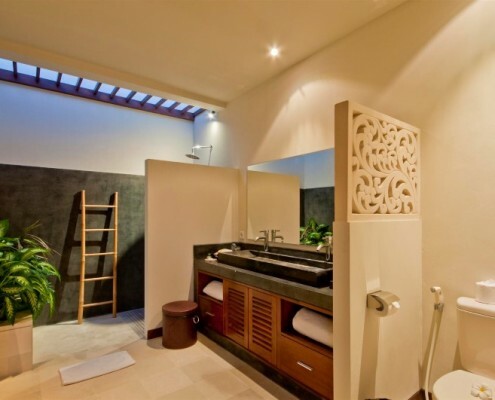 Relaxation, privacy and peace are what you can expect when you stay at Villa Umah Kupu Kupu. The villa is situated down a lane off Jalan. Kayu Aya (Laksmana, or ‘Eat Street’), called Gang Darma. 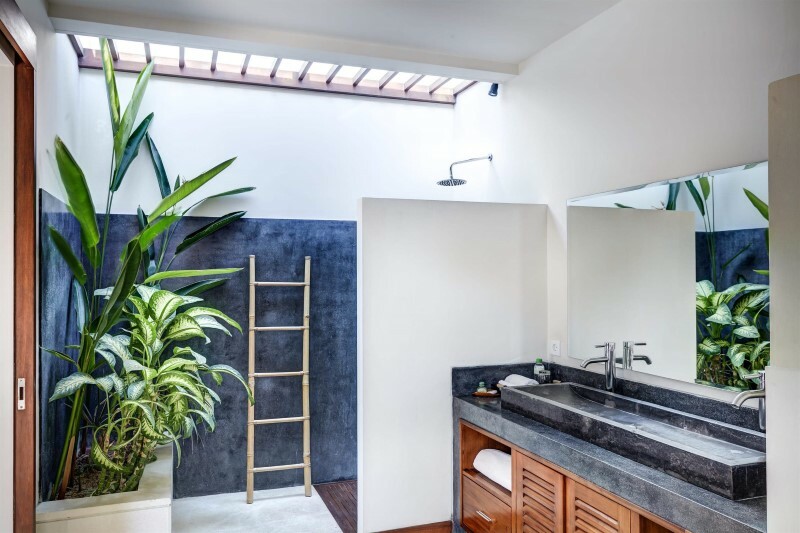 Less than a minute walk will bring you into the centre of bustling Seminyak, a fashionable area with an abundance of boutique shopping options, as well as numerous restaurants, spas, art galleries boutique shops and nightclubs. The beach is only a 15 minute walk from the villa, which is the perfect place to enjoy a stunning sunset. 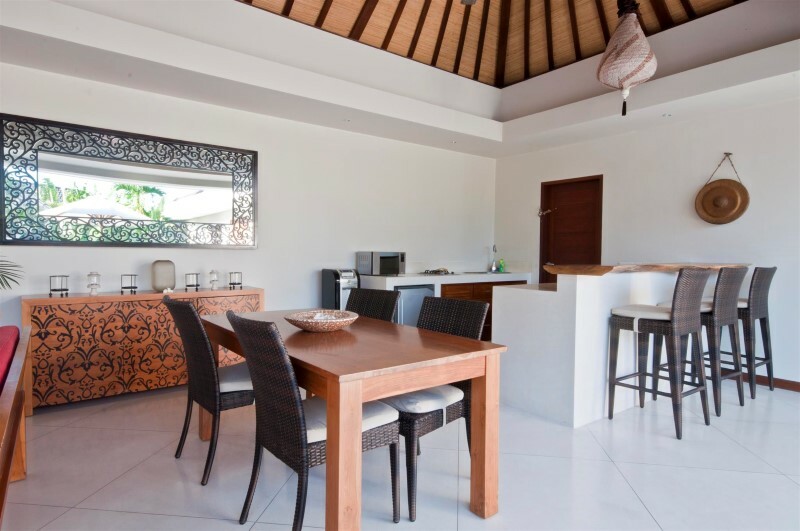 The villa is so close to everything you’ll need to make your holiday perfect. Family holiday with teenage children. 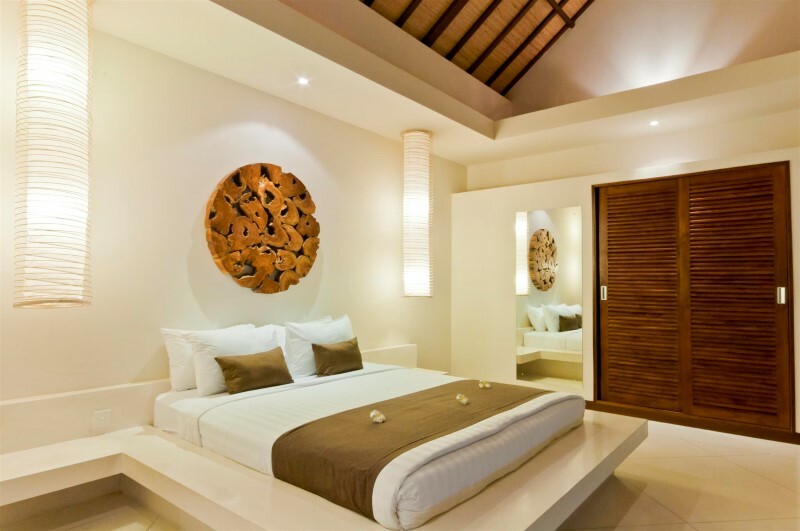 First time in Bali, Villa is a haven away from the main strip in Seminyak. 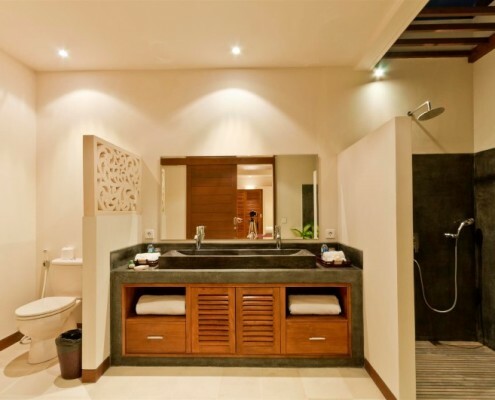 Place was spotlessly clean, gardens and pool well looked after, modern design and fittings made for excellent stay. The Bugis team were outstanding they truly could not do enough to make our stay more enjoyable. Breakfast was wonderful every morning, go with the Banana pancakes OMG. Super property! Superb location! 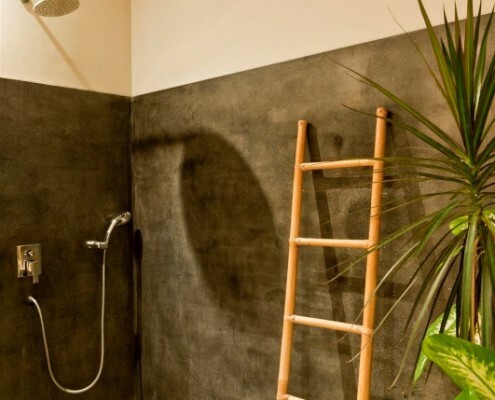 Superb amenities! Very very clean and huge bedrooms! Love the open kitchen and living area overlooking the pool!! We were offered a split stay due to Vilas were booked at for our dates. Best thing we ever did. We were able to experience two villas. Kupu Kupu 1 was villa one, amazing villa, good location, staff are amazing. Can get a little loud at night. 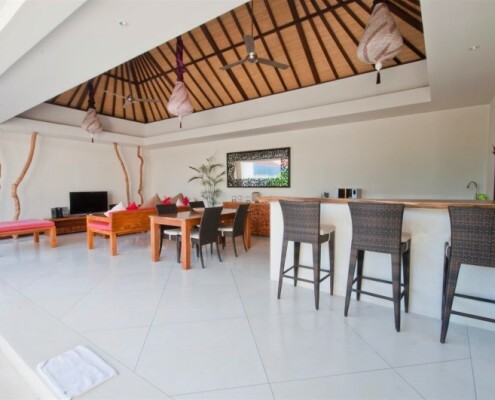 Second villa was villa Nakula, amazing villa, so much space, three bedrooms, good location, no bars or clubs around. Villa Bugis staff were very friendly and helpful. Would stay here again. 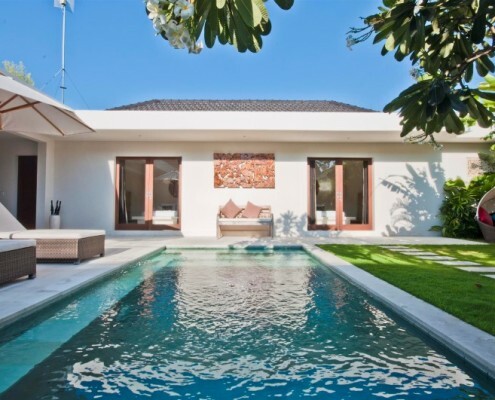 Great Villa with all the amenities required, right in the heart of Seminyak. Villa staff were excellent and catered for everything we needed. Rooms were serviced daily as was the swimming pool. 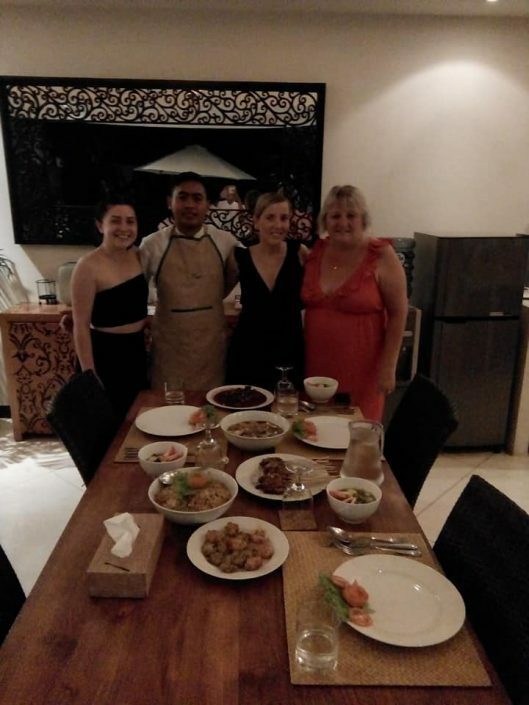 We really enjoyed the staff coming in and cooking our breakfast each morning and we also dined in the Villa one night – had an Indonesian feast which was fabulous. 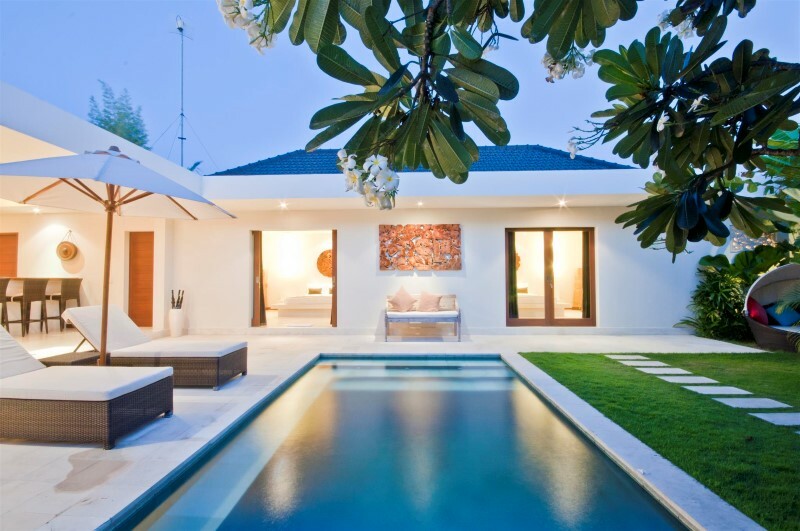 No hesitation to book with Villa Bugis in the future. 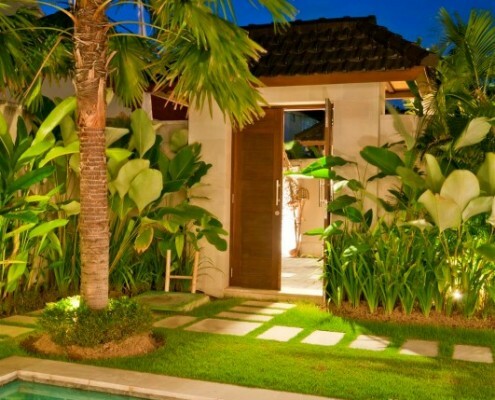 Villa Umah Kupu Kupu is right in the heart of Seminyak! Perfect for couples, friends and families! The wonderful friendly staff are on hand to cater to all your needs and assist with tours, transport, spa and general tourist info. We booked a 2 Bd Villa through Cantick Villas, stayed for seven nights and could not have been happier. 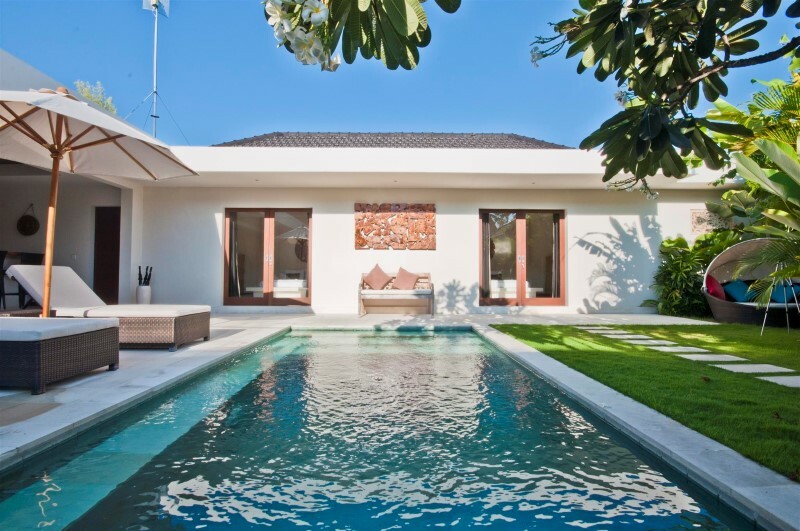 The Villas have a beautiful modern twist on the traditional Balinese style and are very clean! Each room has own en-suite with the kitchen and family area providing a wonderful space to enjoy each others company! 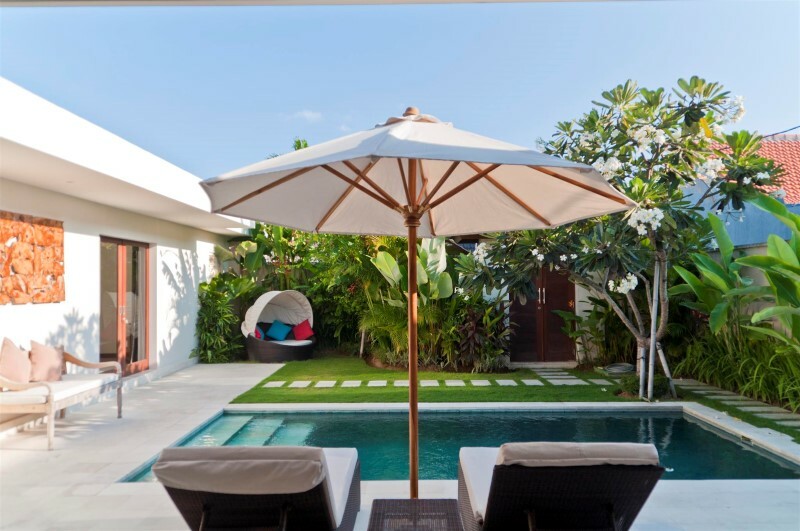 A perfect way to spend time in Bali relaxing in your own stunning private pool or use as a base to head out exploring beautiful Bali! The pictures listed on the website are very accurate and true to the advertising. Simply amazing! We will be back! From the minute we checked in we were looked after. The staff were amazing like Wayan and all of the others. Everyone always made sure we were happy and had what we needed, organised drivers and any activities for us. The villa was always extremely clean and the villa itself was awesome. The bedrooms were huge with comfy beds and the pool was great. Unfortunately we couldnt get to Gili for the last part of our trip so the staff accommodated us for an extra two nights. Another fantastic holiday at Kupu Kupu 2. Everything was perfect. Staff were friendly and unobtrusive. They looked after us so well. Breakfast was delightful with a choice of menu and time. Close to Oberoi street and hence great restaurants, Champagne bar and great shops and salons. Would highly recommend this villa. A work colleague had told me about this property group. It was the private pool that attracted me the most. The villa was amazing and the pool was everything I had hoped for. The staff were amazing- they came and prepared breakfast for us each morning. We felt very safe as a security guard sits outside the villas all night. 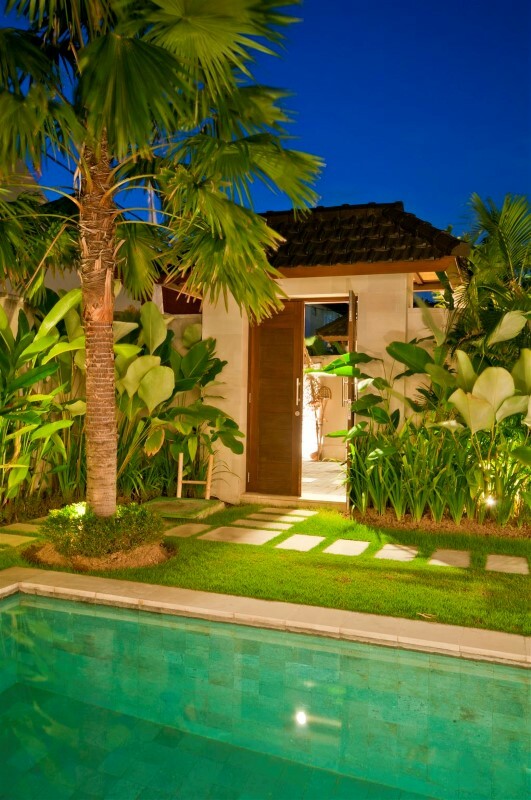 A lovely villa with private pool situated down a lane, but close to the main street in Seminyak. Staff did all they could to ensure we enjoyed our stay. We stayed at villa nakula and villa umah kupu kupu. 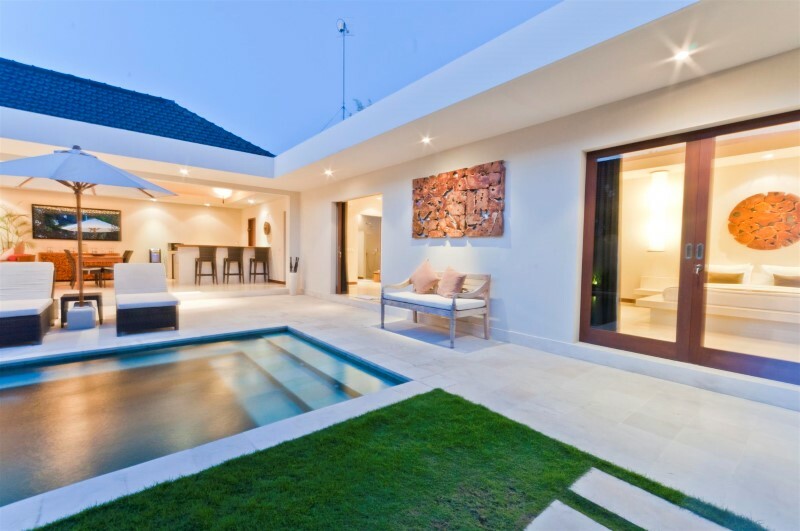 Both very modern clean villas in a great location close to bars, restaurants, shopping and more. Very Friendly staff that go above and beyond to help you with anything and everything Will definitely recommend to friends and family. 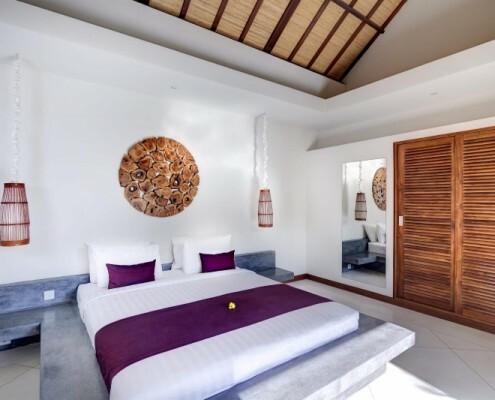 I stayed in Villa Umah Kupu Kupu and have to admit that the villa absolutely took my breath away. This is without a doubt the most luxorious accomodation that I have stayed in. The staff was very professional and nice, from the booking process to check out. They answered all my emails straight away and gave me clear and helpful answers to my questions, even though it was outside of office hours. 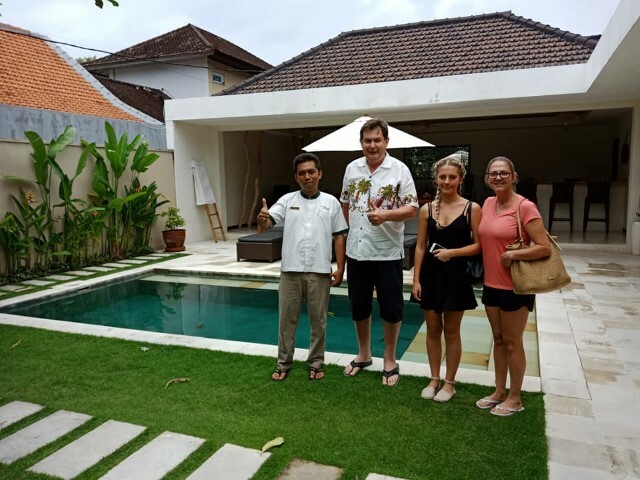 I was very well greeted by the friendly staff, and got very helpful information about the villa and great recommendations for where to go and what to do. The staffs’ English took me by surprise, they were very easy to understand and had a good vocabulary. The facilities were fantastic, very spacious and clean. The villa was well decorated, the bed was huge and very comfortable. The garden and the pool were beautiful, very well maintained. The location is perfect since it’s so close to the main street and a short walk to the beach, but I still could not hear the nightlife noises so I could sleep very peacefully. I was extremely thankful for how concerned the staff were about mosquitos, they lit numerous mosquito coils in the outdoor area and provided two types of mosquito sprays for both indoors and for me (which actually smelled good) so I finally got a break from mosquito bites! The kitchen and living room were very well equipped and the staff cooked me a tasty, well balanced breakfast at a time that I preferred. I also loved that the TV had so many american/english channels (that is not to be expected in Bali). I give the villa my best recommendations! It’s especially great for a family, group of friends or two couples traveling together. 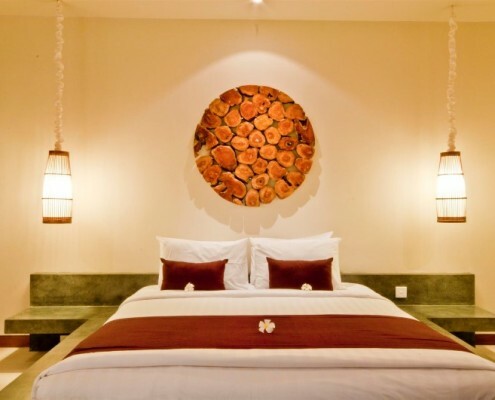 The villa was very nice, location is perfect in the center, very good service. Average breakfast, bathroom not air-conditioned. Perfect for a group. 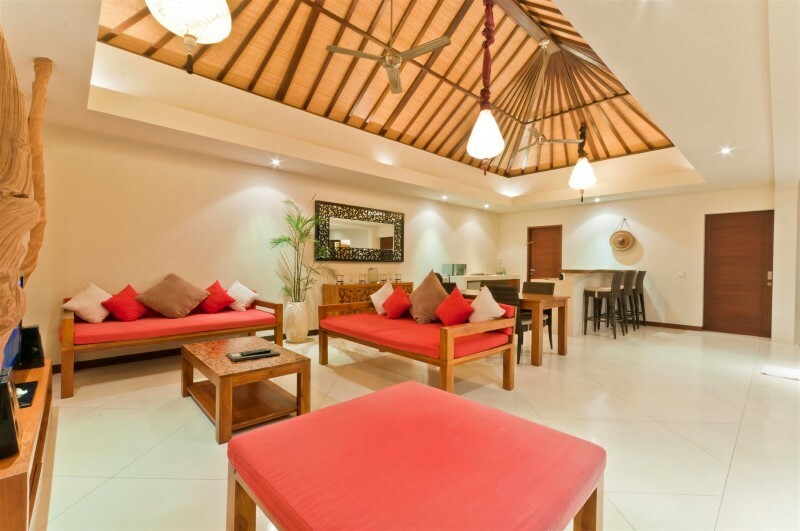 My wife and another couple booked 14 nights at this 2 bedroom Villa….WOW!! !…..we have 6 nights of our holiday left and wish it was 6 weeks! This place is fantastic…. 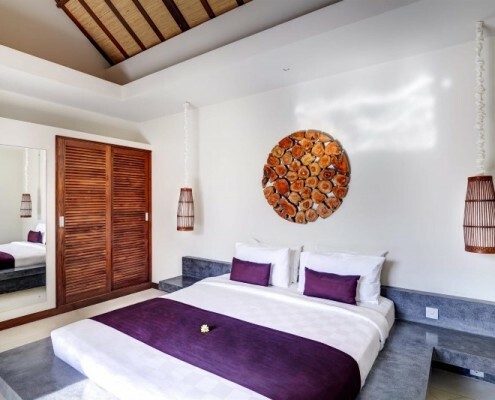 private pool, well maintained gardens, beautiful rooms and fantastic staff… what more could you ask for!…… the Villa is down a quiet alley way just off “Eat St”…. 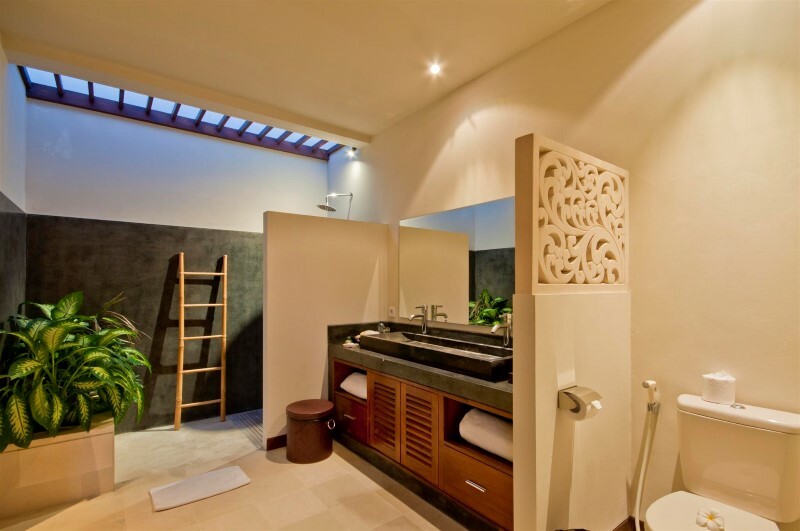 when you are in your Villa you could be anywhere… no noise, just solitude!….ahhhhhh, the serenity! It was my birthday the second day of our stay and I was greeted in the morning by the staff singing “Happy Birthday” together with a beautiful cake… made me feel very special…. Thanks guys!! 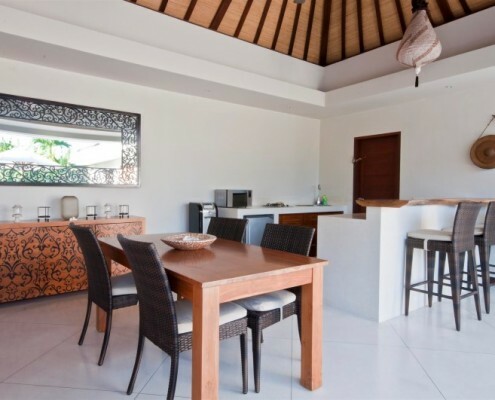 2 bedroom villa perfect for friends or family. 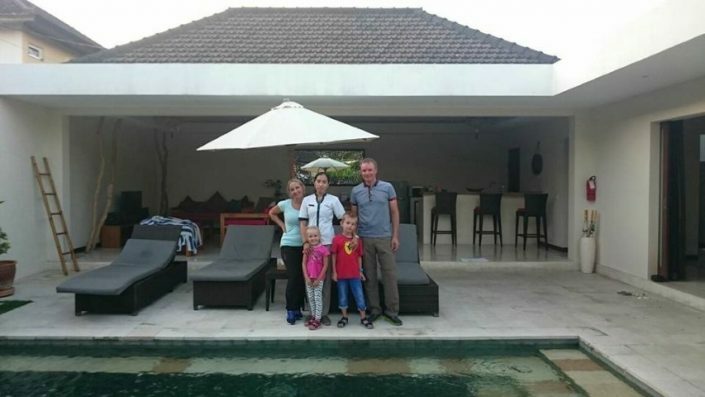 Wonderful staff and great sunny pool, deckchairs indoor outdoor kitchen, bali hut. Very quiet yet less than 100m walk from the main street of Seminyak. Close to all amenties. Would definately stay here again. 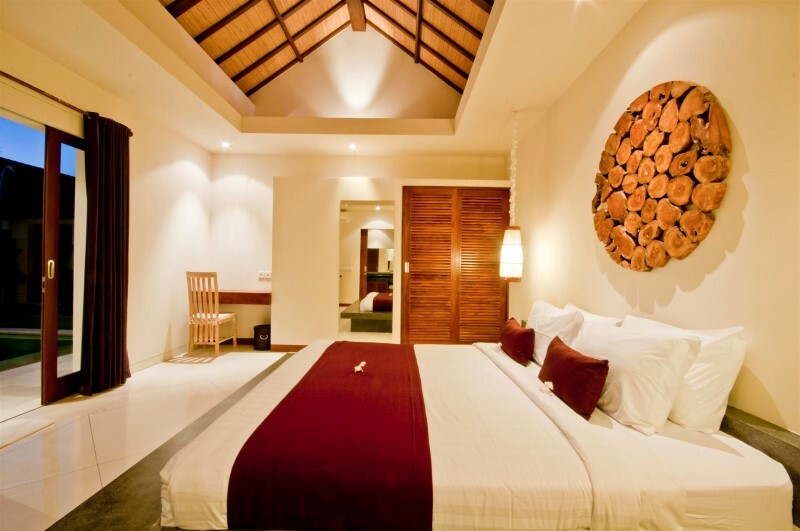 Have stayed at another one of Villa Bugis’ villas, this time we stayed in the 2 bedroom Umah Kupu Kupu. We had 2 families each with a 2-3 year old kid and it works perfectly. Enough room for the kids to play and for the adult to relax – even when one family is sleeping. got a pool fence which was installed before our arrival and keeps the little ones from falling in. 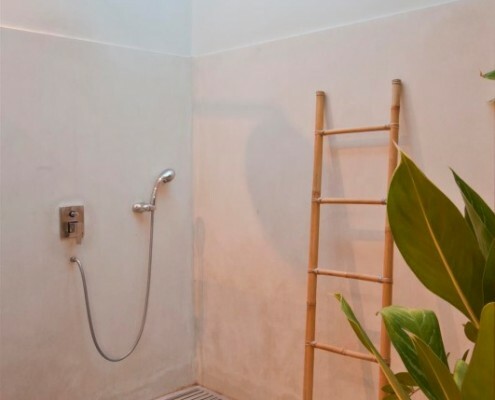 Awesome location – really close to loads of amazing restaurants and shops, also the Coco Supermarket for all other needs. Staff were great – the breakfasts were delicious and they accommodated us when we requested a very early start (because of the kids). We also used the child care services a couple of times as our usual nanny couldn’t make it. Tbh i’d probably go through an agency next time, but at shirt notice they were fine. All in all – we’ll stay with these guys again. We had 2 family (5 adults and 4 kids) stayed for 3 nights. We concluded that we had really made a wise choice. The staffs there were super friendly, helpful and good. They really cater and look after every single things. The place is very clean, esp the pool which I don’t really expect. The location is good too. Just walk out the alley and a long stretch of food, pubs and shopping. I love the in house breakfast the most as they will cook in our villa and we had it hot on the spot. 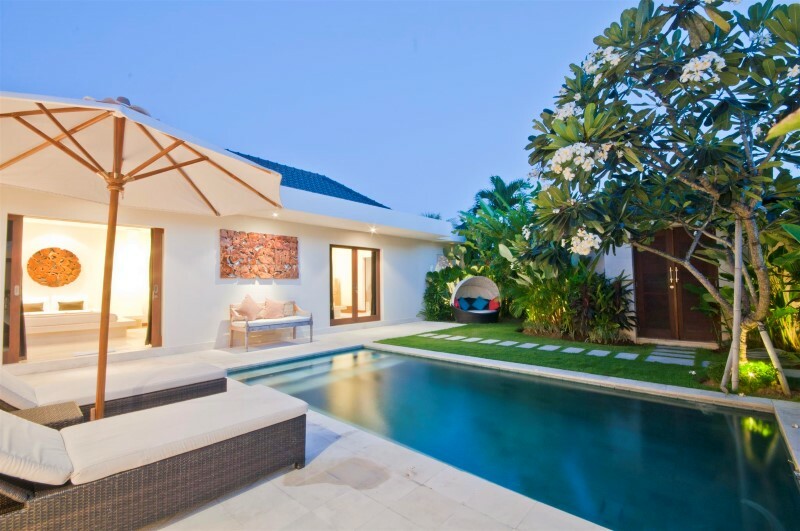 Overall, if we were to go back to Bali again, we may choose this villa. Thank you all the staffs there for giving us all the good privilege and best services. 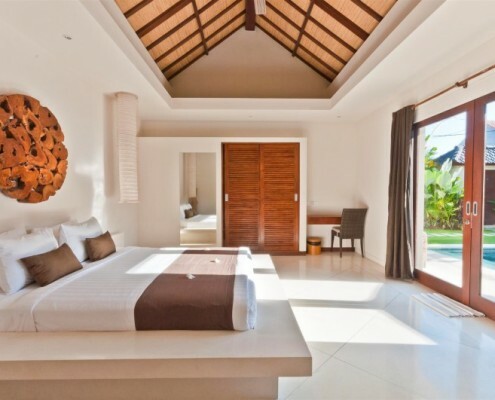 My stay at this villa went way above my expectations. The villa was spacious, clean and extremely comfortable. 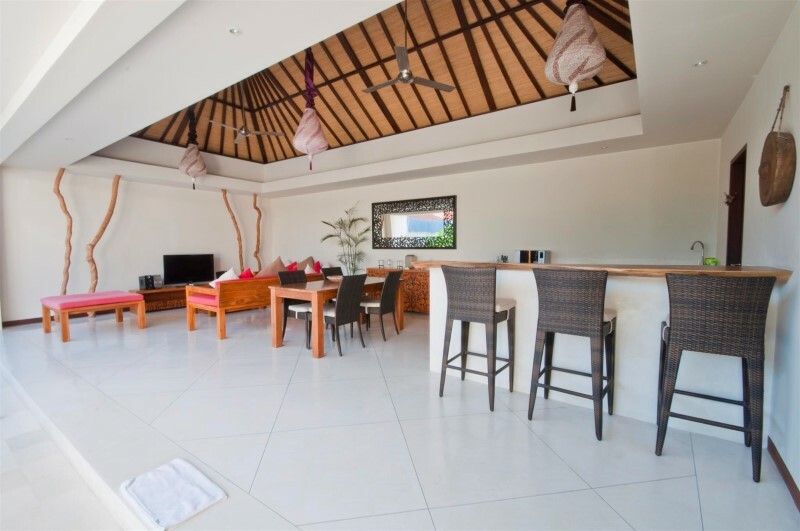 Situated in the heart of Seminyak, it’s a minute walk to the main street with a ton of shopping, cafes, bars and restaurants. There was so much to do that we had barely enough time since a good part of the day was spent in the resort. Their service was excellent too. The staff was responsive and friendly. Airport transfers and breakfasts all included. It’s definitely a place I’d recommend to all my friends travelling as a group! We had a wonderful holiday in Kupu Kupu. Great location – 1 minute walk to Oberoi Street. Staff were attentive, friendly and helpful. Nothing was too much for them. Would just suggest that the lane way is lit at night. The pavement is uneven and very dark. Another improvement would be a bigger refrigerator. But overall fantastic – we would definitely stay there again. 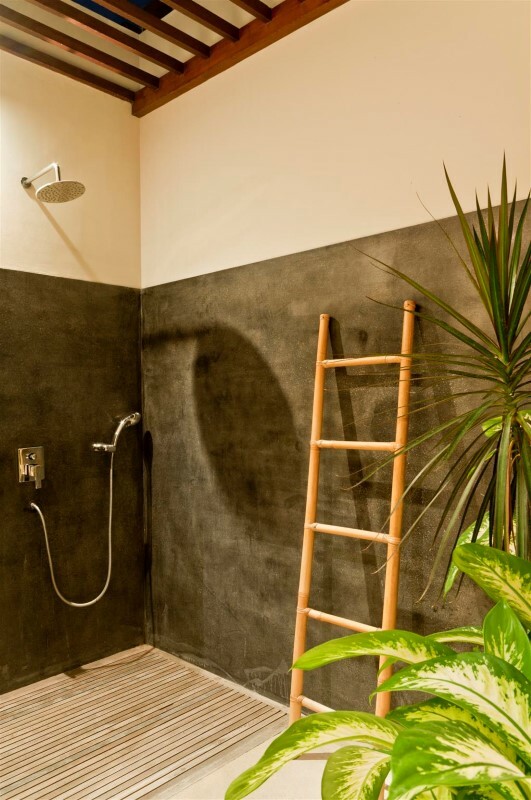 * very convenience location, near good restaurants, supermarket, shops. 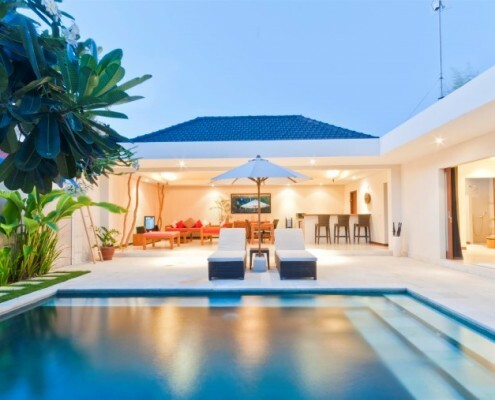 * very clean villa. Perfect.! We are really satisfied! We can be very relaxed. Zutto kokoni tomatte itai guai, sutekina tokoro desita. thank you for your hospitality.! Lovely Villa Umah Kupu Kupu in Seminyak. 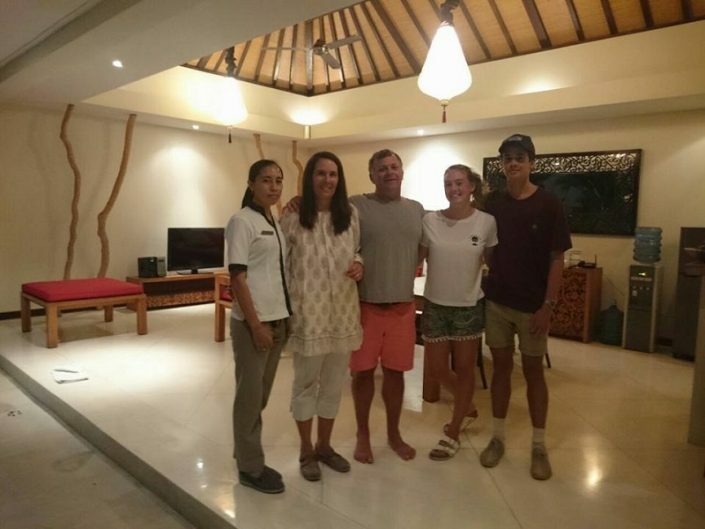 Putu, our villa manager, along with the rest of staff, was very warm, helpful, and accommodating. They would make sure every need is taken cared of from arranging tours to buying dinner at chosen restaurants for stay-in evenings. 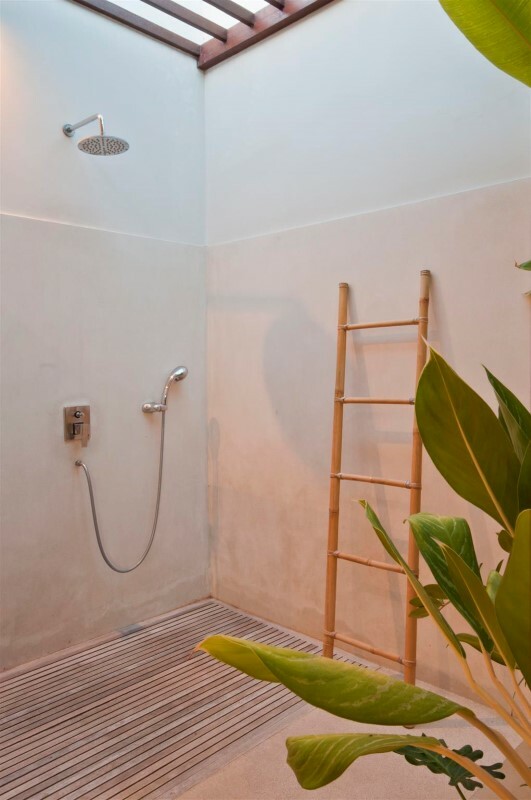 I would recommend this place to all those looking for a relaxing trip to Bali! Putu made the sunshine for us everyday! Had the most amazing stay and would not hesitate to come back or recommend to everyone . Great breakfast everyday and beautiful staff. We really enjoyed our time at Villa Umah Kupu Kupu. The staff were always accommodating and ready to help. 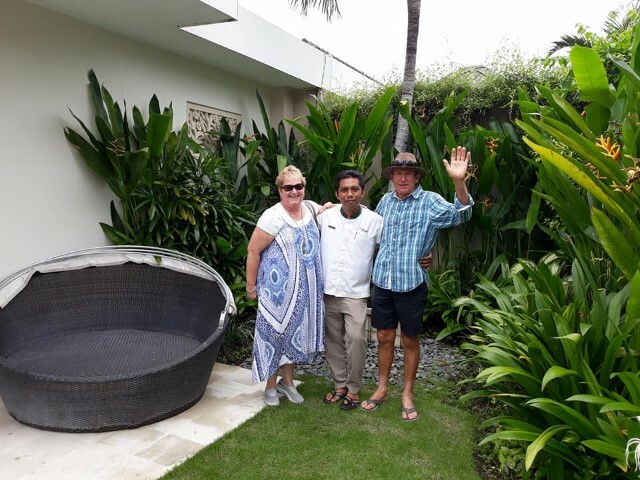 Putu in particular was always more than happy to help us book our activities or reservations and made sure we had a most enjoyable stay. The villa is set back from the main street which reduced noise levels and made for a very relaxing stay. 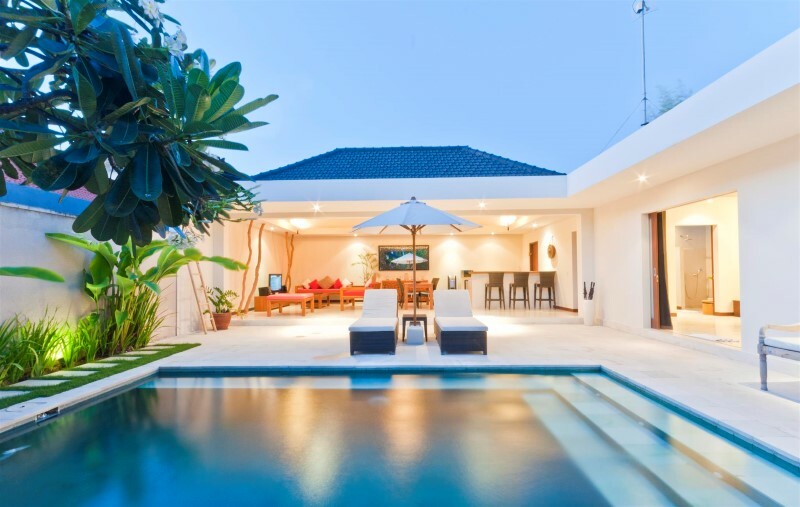 We definitely recommend Villa Bugis for your stay in Bali! We enjoyed our stay at Villa Umah Kupu Kupu. Staff are very helpful and dilligent with their duties.